Holy Saucamole! Celebrate your health kick with the delicacy of the exclusive "Avocado Toast" Shadow 6000. Featuring toast-ed leather, smashed avocado textured suede, red pepper flake collar lining, and the "Saucamole" shout out on the heel. It's everything you avo-wanted, even if the guac is extra. Releasing 26. February at selected retailers such as Sneaker Politics. 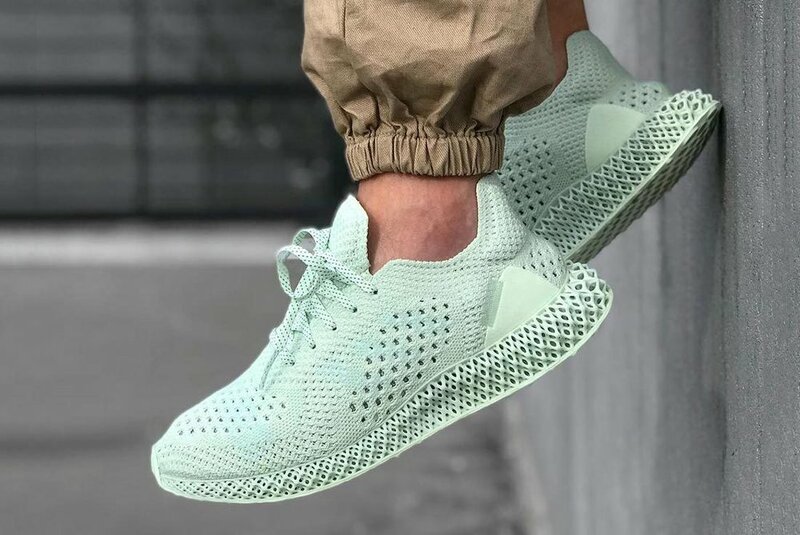 While this latest release diverges from the usual adidas Consortium way of working, in that it was created in-house by adidas, the final outcome was only made possible – and elevated to such great heights – due to the input of former adidas Director of Footwear Creation, Jacques Chassaing. Jacques was the designer responsible for one of the most iconic adidas lines of all time - the ZX running shoe series – which utilized an equally enduring technology also designed by Jacques, the adidas Torsion system. The sleek craftsmanship of the ZX range – which originally ran between 1984 and 1989 and was later in 1991 replaced by the equally as iconic Equipment range – ZX embodied adidas’ commitment to high-performance functionality, with the Torsion system playing a key role. By using a TPU arch to bridge the heel and forefoot it allows the front and rear of the foot to operate and adapt to surfaces independently, offering high degrees of support and stability. The adidas Consortium ZX10000 C releases February 22 at selected retailers such as hanon. The ZX 10000C is the long-awaited answer to many collectors question ‘what happened after ZX 9000?’ The ZX 10000 C retains the Torsion system that remains a proud part of adidas’ performance capabilities to this day, in a shoe that at first glance reads like a never before seen model from the original ZX archives that has only just been unearthed. Its aqua, orange and neutral coloring inspires nostalgia for a very specific era of performance footwear, utilized across a diverse blend of natural and technical fabrications that include mesh underlays, webbed Three Stripes, premium suede overlays and reinforced TPU on the ghilly and heel. 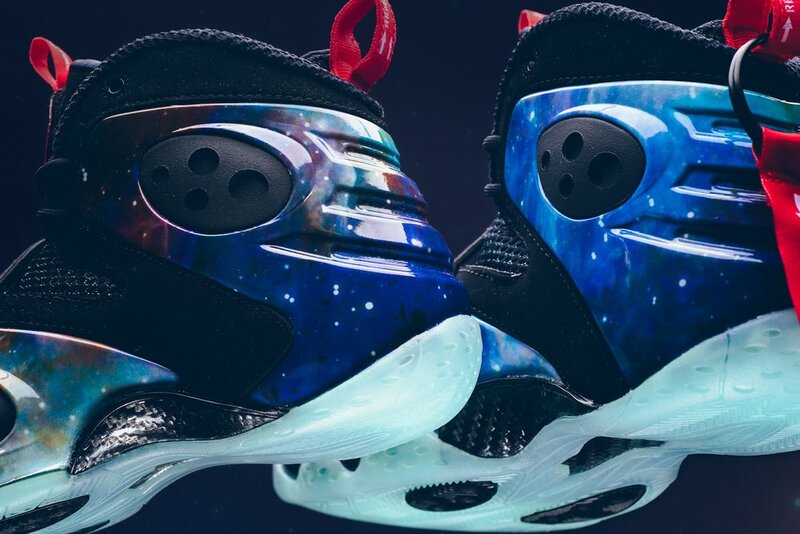 The “Galaxy” concept created and delivered by Nike Sportswear in 2012 is returning soon. 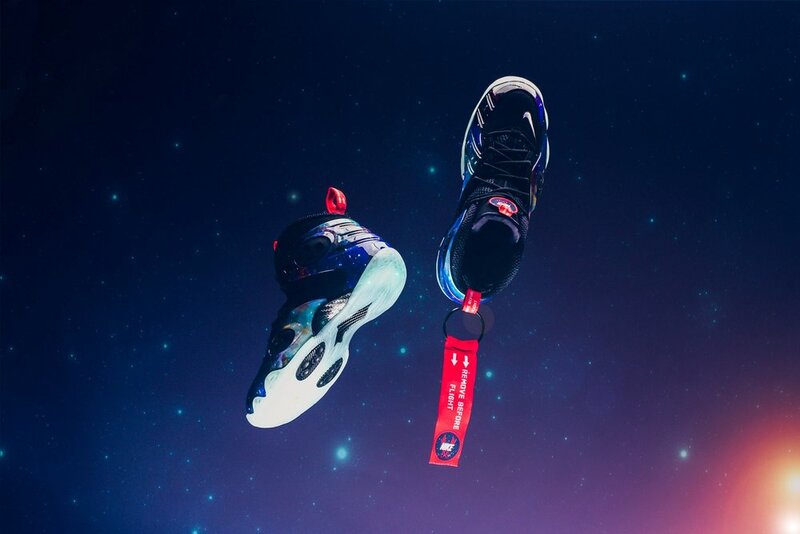 Using color themes and graphics inspired by outer space, Nike transformed the iconic Air Foamposite One and the modernized Zoom Rookie silhouette with the attractive print, adding glow-in-the-dark details and the hang-tag that enhanced the space travel aesthetic. The recently unearthed Zoom Rookie LWP appears to be returning in the original Galaxy form, complete with the same hang-tag and glowing soles. Releasing February 25 at selected retailers such as Sneaker Politics. We saw the vibrant 90s in reunited Berlin with all its different facets such as graffiti, hedonistic underground techno clubs and enough space for those who want to give free rein to their creativity. In this era, OVERKILL was born and our DNA was defined. Moreover, a very special chapter in sneaker history has been opened: the iconic four-digit ZX series by adidas hit the market and delighted many people with its diversity in models and colors. 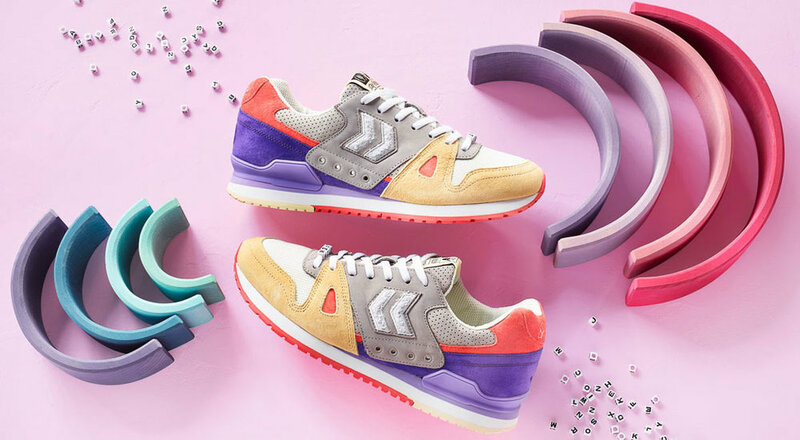 Our love for it is still running at full steam today and there is probably no sneaker store which stands for this series of models in a more authentic way! OVERKILL is very pleased to announce that for the 30th anniversary of the 1.000 series, the series will finally be completed by the newly introduced ZX 10.000 C.
The new model, which unmistakably carries the ZX-DNA, results from teamwork by creative adidas designers and it optically blends in perfectly with the ZX history. In addition, Jacques Chassaing, who was decisively involved in the development of the ZX series in the 1980s, contributed valuable tips and ideas with his in-depth knowledge. The upper of the ZX is combined with a Cushion sole which was also used for the Equipment series. 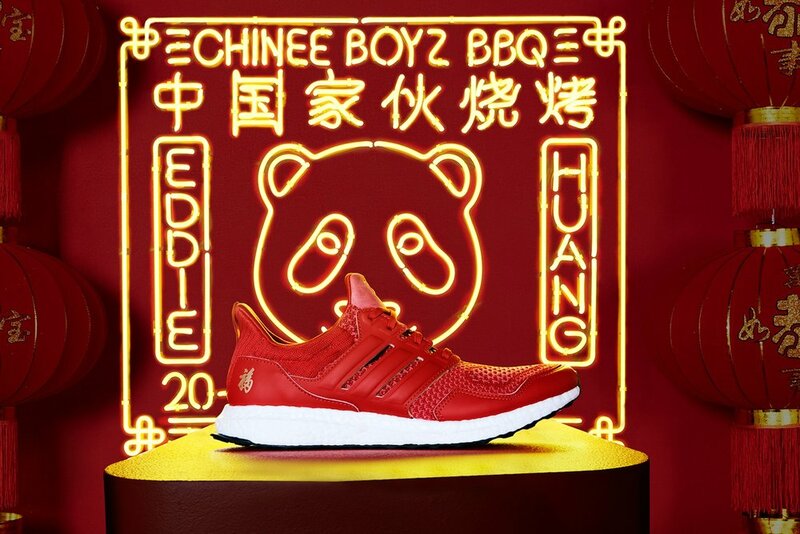 This creates a connection between two different concepts that shaped adidas in the 1990s. For the market launch of this new silhouette, OVERKILL has been honored to design its own ZX 10.000 C in collaboration with adidas Consortium. The inspiration for our version came from the 4-digit ZX models. Their legendary colourways have always been among our favorites. To express our passion for these models, we’ve selected the most iconic of these colorways and incorporated them into the design of the ZX 10.000 C – a “best of”, so to speak. The challenge was to place this multitude of strong colours on the model. But we wouldn’t be OVERKILL if we hadn’t found a way! 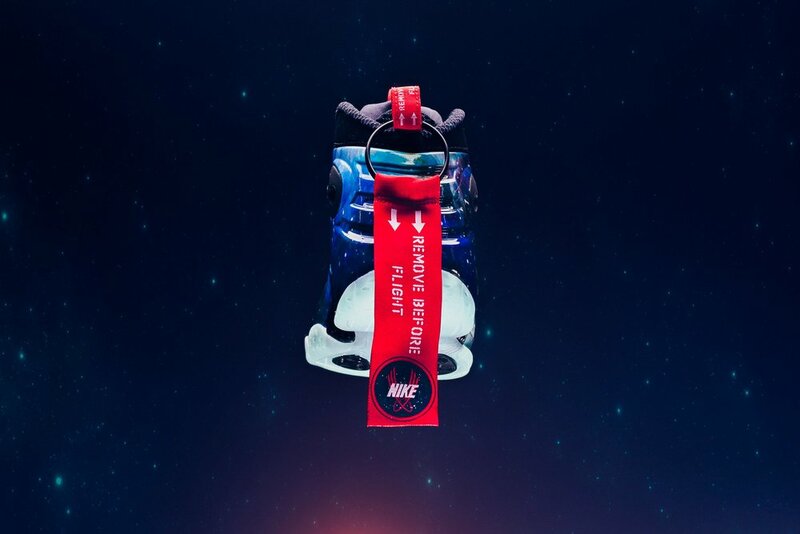 The model name is based on the adidas Torsion slogan from the original campaign in 1989 but with a twist: “I WANT , I CAN!” has evolved to: “I CAN IF I WANT” in a tongue in cheek nod to what really makes this pack extra special. The OVERKILL x adidas Consortium ZX 10.000 C “I CAN IF I WANT” consists of the regular pair, plus another single shoe in a completely different colourway*, which complements the homage to the 1000 ZX series. All three shoes together will come in one oversized box, held in the design of the original 90s ZX boxes. 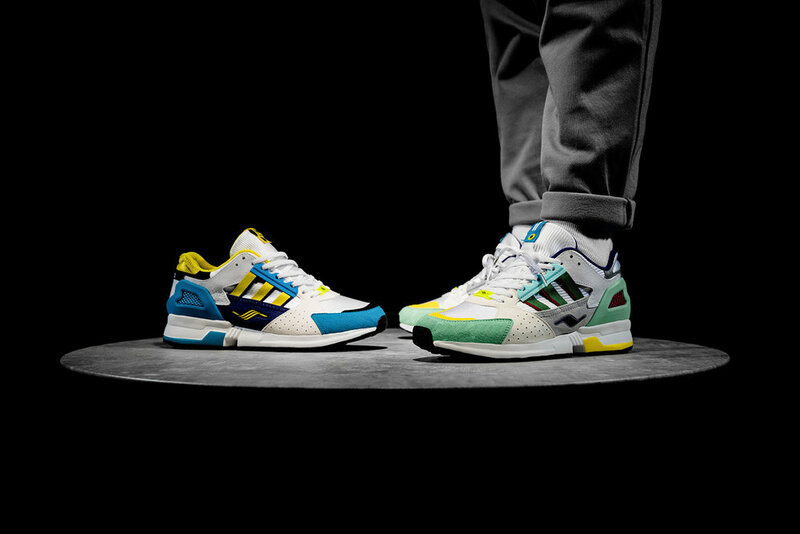 For the first time we are offering the consumer a choice in how they want to wear the shoe, from the true homage ZX 1000 – ZX 9000 oddity pair – or the ZX 5000 – 9000 “hydra” pair. What you do with the third shoe is up to you! Wear the true homage, choose to display the shoe or try and purchase or swap the other foot from another ZX lover so you can wear the blue one as a pair too! Releasing at OVERKILL on February 9. BEAUTY & YOUTH has teamed up with New Balance on the X-90. The upper is designed with inspiration from 990 V 2, 991, 992, 993 from "99 X series" such as classic small N logo, left and right asymmetrical color strap structure. The sole unit is a new mid sole with a sense of volume and impact with excellent cushioning and stability. It blends the unique design line of 990 V 3 midsole, 991 ABZORB, and 992 three-dimensional feeling. Releasing February 1 at BEAUTY & YOUTH. 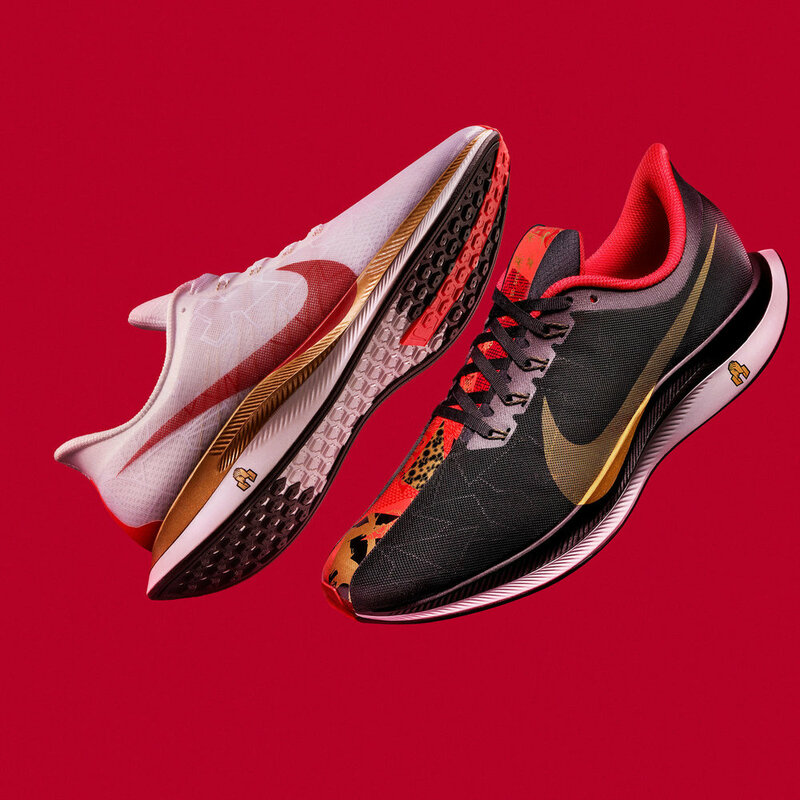 Just like throughout 2018, Nike have started 2019 in similar fashion by re-releasing retro models for the first time. 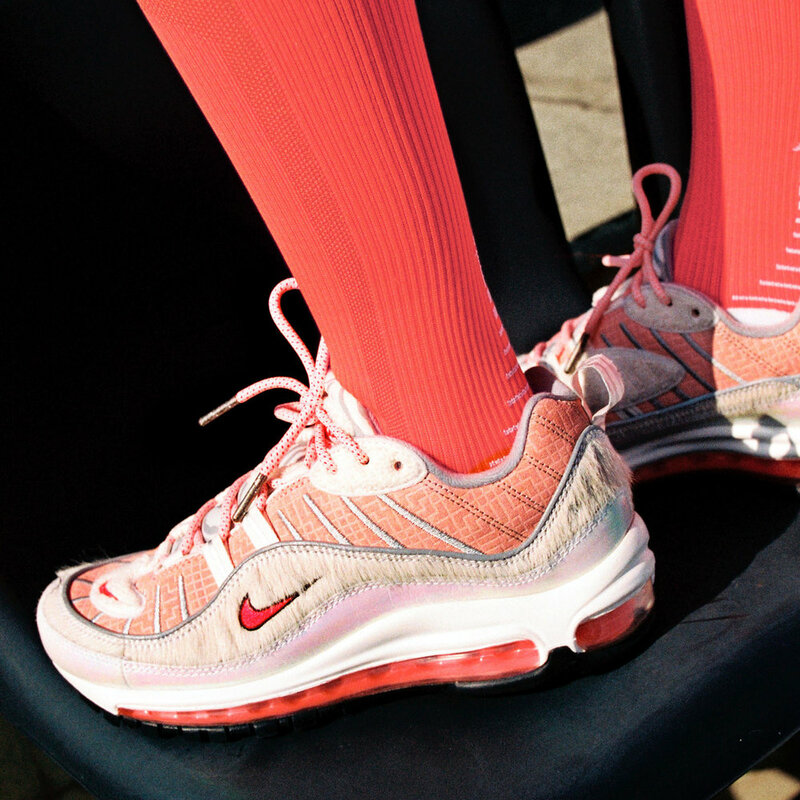 Consumers saw the Air Max 98 ‘Gundam’, Air Max Deluxe silhouette and Air Jordan III ‘Mocha’ return for the first time respectively. The Nike Air Max2 Light originally released in 1994 as an updated look from its predecessor of the Nike Air Max2 offering a “lighter” version. This span across between the materials to the overall cut of the silhouette but keeping the aggressive design on the upper. 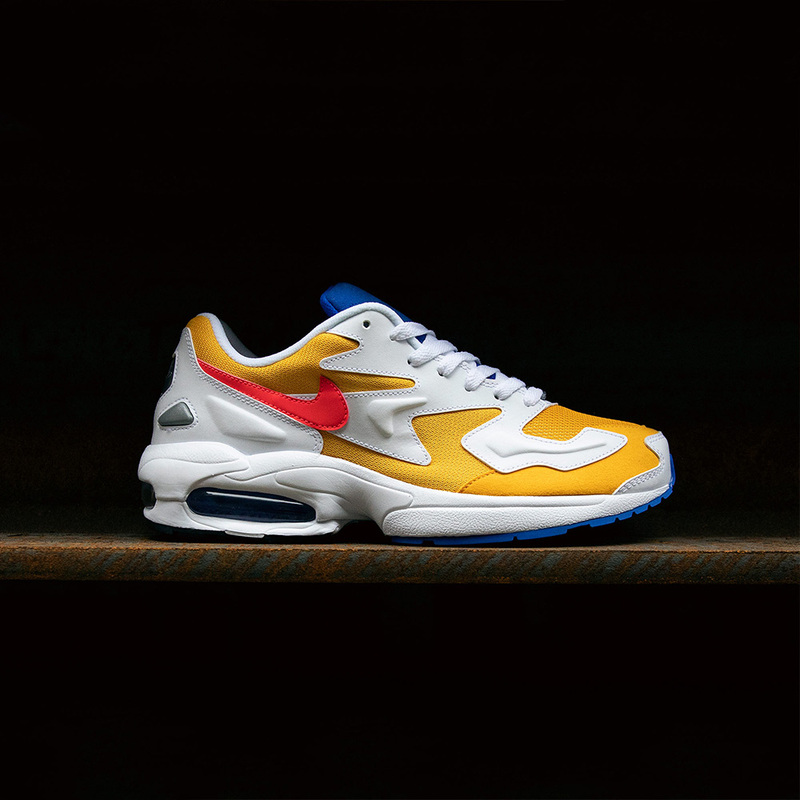 Like its predecessor, the Air Max2 Light offered a technical four-chambered Air Max unit which featured two different pressure systems (25 PSI and 5 PSI). The combination between the two pressure systems optimised firm cushioning on the heel as well as giving a softer bounce. 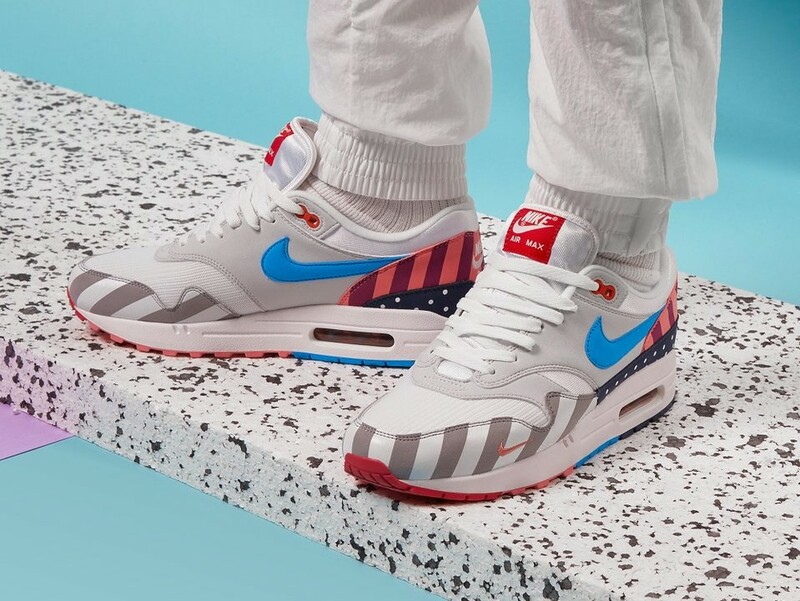 In addition, the Air Max2 Light presented a toned down element as opposed to the Air Max2 with the cut of the model being shorter as well as the midsole however, it still kept the vigorous aesthetic through the overlays on the upper. Almost 25 years later it returns in a University Gold colorway. Combined with mesh, nubuck and leather on the upper. 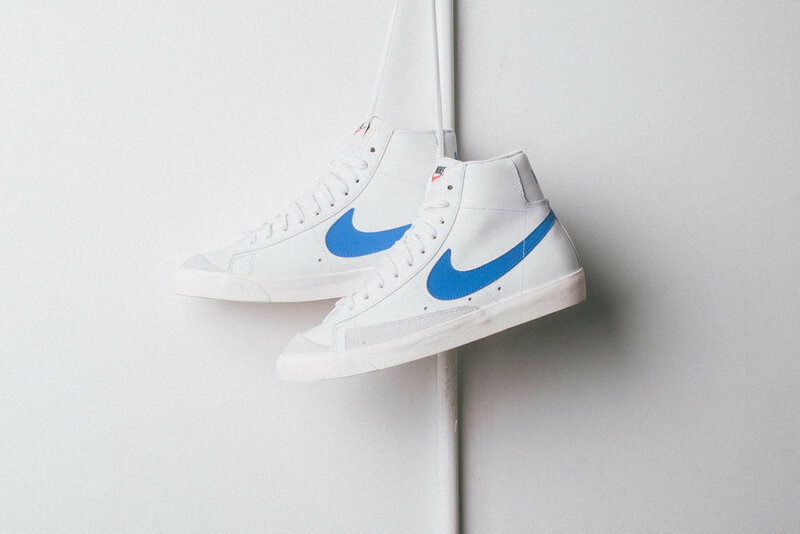 A Flash Crimson Swoosh and Racer Blue hits on the tongue and outsole complete the classic silhouette. Coming soon at selected retailers such as Footpatrol. For the first Retro of the year Jordan brings back an early 2000's classic in the Jordan 19 for 2019. This model will feature the original white, flint grey and chrome color-way, the color scheme the 19 debuted back in 2004. The upper consists of white leather, patent leather and the signature flint colored mesh overlay covering the lacing system. The unique insoles say "Melo" in script as a tribute to the Jordan athlete Carmelo Anthony who wore them as a member of the Nuggets in the '04 NBA season. To finish it off the iconic Jumpman logo is given a chrome finish and is placed stoutly on the midsole and heel. Coming soon to selected retailers such as Feature. Nike kick off 2019 by following up on the strong recent outings of the iconic Air Force 1. Enlisting camouflage guru's Realtree, whom Nike first teamed up with in 2011 for an exclusive ID option and SB shoe. Realtree are no strangers to working their cutting edge patterns across streetwear staples, Supreme opted to apply their signature camo across a range of pullover anoraks with their use of the 'blaze' camo (as seen on the Air Force 1 here) being a highlight of the drop. Each canvas upper of the Air Force 1 is decked out in an official realtree pattern featuring styles such as Winter Snow, Blaze & AP camouflage. Details include a rounded lace with embroidered eyelets while subtle branding arrives via a Realtree logo on each footbed. Releasing January 4 at selected retailers such as Hanon. 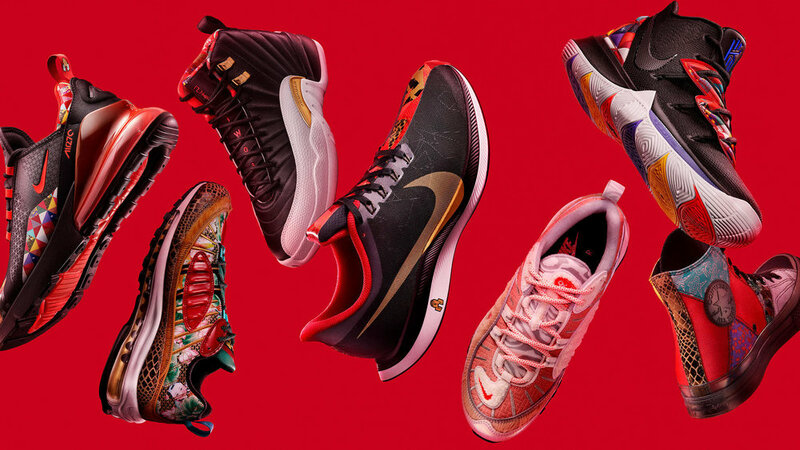 To commemorate the Year of the Pig, the last animal sign representing 2019 on the Chinese Zodiac, Nike is releasing a limited-edition Chinese New Year collection that unifies patterns symbolic of all 12 signs onto classic Nike, Jordan Brand and Converse silhouettes, joining them together in a form of traditional Chinese patchwork called Bai Jia Yi. Two styles of graphics are used to represent this throughout the collection: The first is a traditional geometric quilt pattern that is influenced by all 12 Chinese Zodiac symbols; the second is a mosaic pattern of the 12 symbols. As we approach the end of 2018, we round up the year by ranking our 20 favorite sneaker releases of 2018. This task has been difficult, as this year has seen a lot of great releases. Here are our favorites from 2018 ranked in random order. The second style sees a similar aesthetic approach to a very different type of shoe. The P.O.D. S3.1 is a contemporary running-inspired style that offers an evolved take on 90s style cushioning. BOOST technology is utilized on the heel where it matters most and a ‘Point of Deflection’ bridge offers the perfect midpoint between stability and flexibility for a lifestyle shoe. 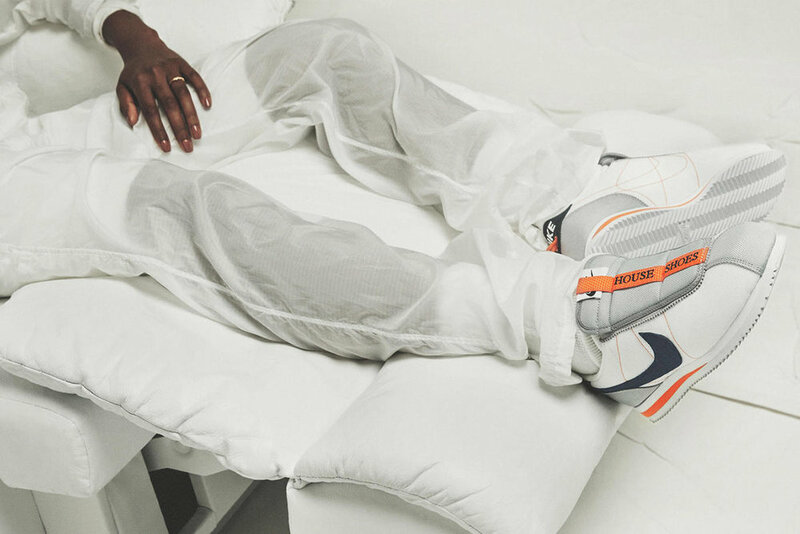 The collaborative version is presented in an understated colorway of whites and creams, rendered across uppers that move between snug neoprene and soft leather. Contrast materials and colors on the heel tab, lacing and exposed tongue add the perfect amount of subtle finesse to a shoe designed to endure. The adidas Consortium x Slam Jam collaboration will be available as of November 10 at Slam Jam. The Afew x BEAMS x Asics Tiger Gel-Lyte III “Orange Koi” is finally here! Three years after their first collaboration with Asics Tiger. The "Orange Koi“ central theme is the German-Japanese friendship, visible in the details of the shoes. The left patch on the heel shows a world map and the patch on the right shoe shows the word „Friendship“ in Japanese letters. In addition to this, the names of the partners are embossed on each side of the shoe. With an astonishing attention to detail, the sole has been designed with the „Orange Koi“ Camo. Otherwise, you can find a transparent part of the sole where you can see the Koi. With the Instore Release, we will have a Special Packaging, which includes a limited Wooden Special Box, an "Orange Koi Bandana", Inscent Sticks and a History Booklet. Additional laces complete the set. Releasing 10. November at Afew. Find out about the whole story of the Koi. Started from the 1-of-1 handmade Asics Gel-Lyte III “Koi” to the latest collaboration with BEAMS. 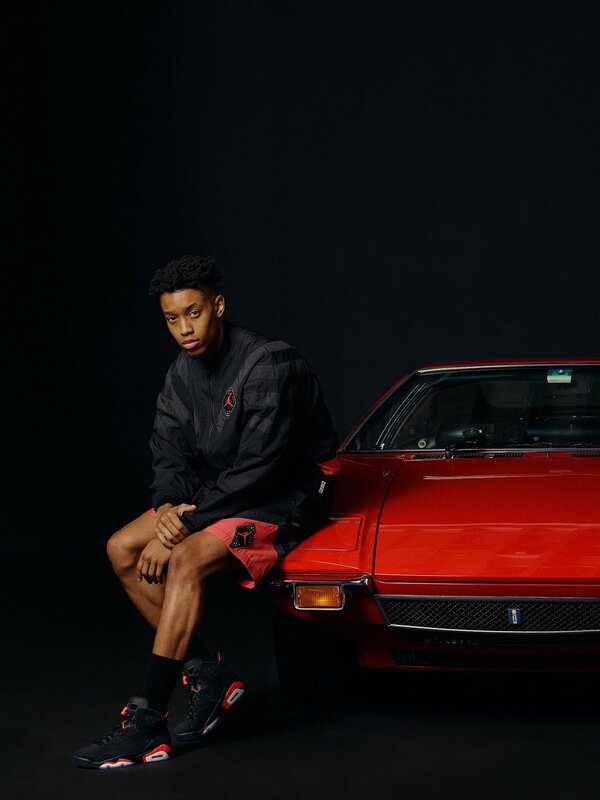 Do you ever wonder why we collaborate with Asics Tiger and not with another brand? Check this episode and learn everything about the story of the Koi and you will possibly get a glimpse of the “Orange Koi”.